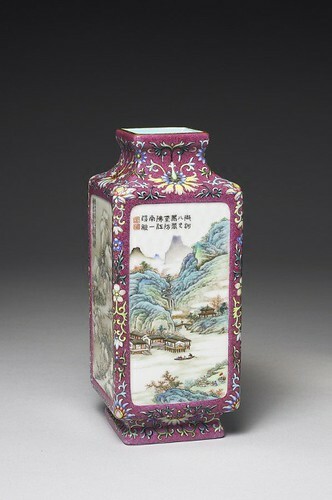 Famille rose (French: “rose family”) is the group of Chinese porcelain wares characterized by decoration painted in opaque overglaze rose colors, often involving shades of pink and carmine. 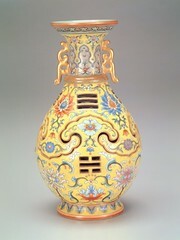 These colors were known to the Chinese as yangcai (洋彩, “foreign colors”) because they were first introduced from Europe (around 1685). 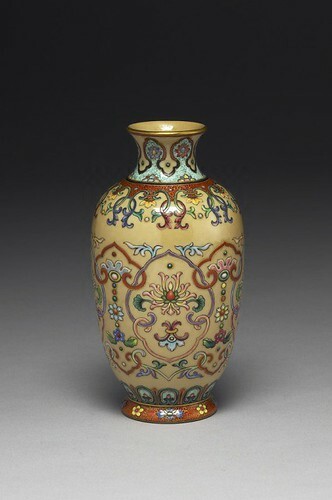 The enamel paint used was originally the type of glaze applied to metal wares, such as cloisonné, and was adapted to porcelain after it entered China. 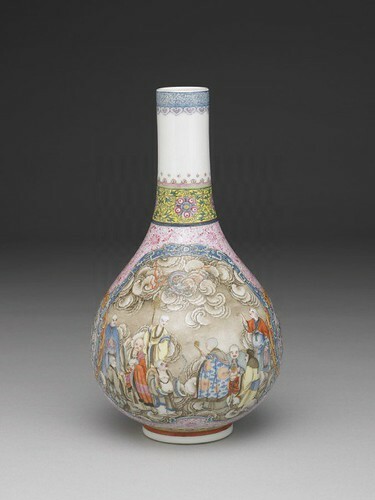 By the time of the reign of Yongzheng (雍正, 1722–35) in the Qing dynasty (1644–1911), these shades were favored over the translucent famille verte (five-colored ware) overglaze colors that were previously used. 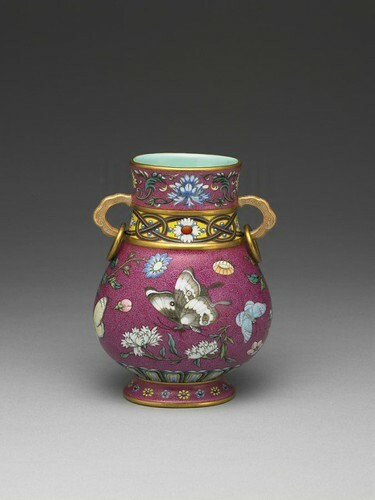 Famille rose porcelain reached a climax of perfection at Jingdezhen under the directions of Nian Xiyao (年希堯, ?–1739) and Tang Ying (唐英, 1682-1756), and continued with great delicacy through the Qianlong (乾隆) period (1735-1796). 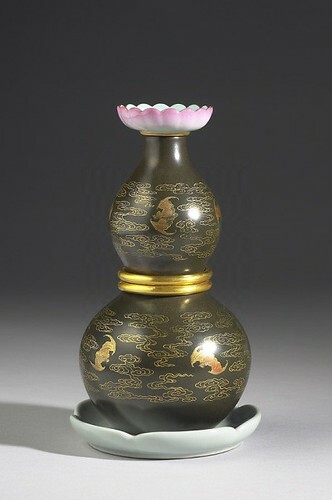 Nowadays, the term fencai (粉彩, literally “pink color”) is perhaps more commonly used, and is almost interchangeable with yangcai (洋彩). 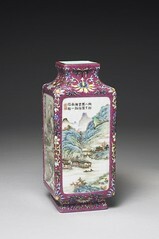 However, fencai did not appear in official records until the beginning of the 20th century. 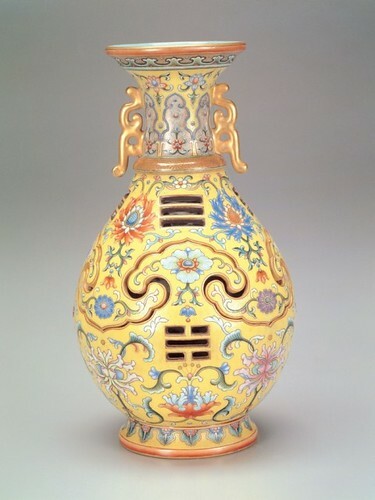 Tang Ying (唐英, 1682-1756), the supervisor of the imperial kilns, knew that Qianlong (乾隆) wished to preside over a renaissance in the arts, and he devoted his energies to creating innovations that would satisfy the emperor. 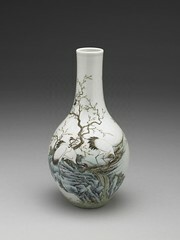 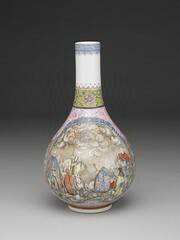 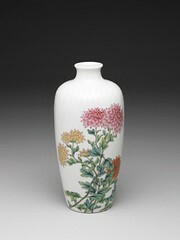 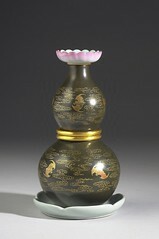 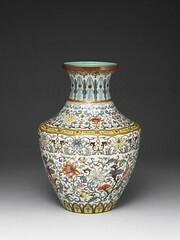 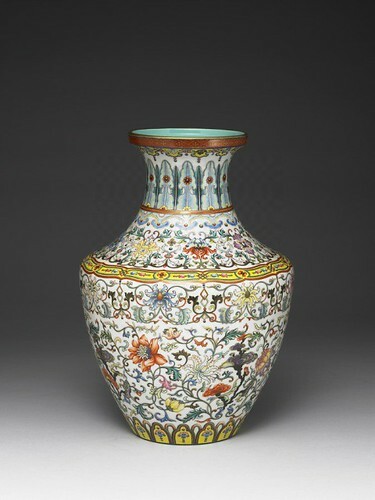 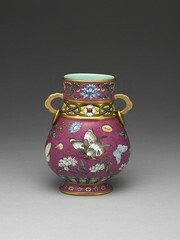 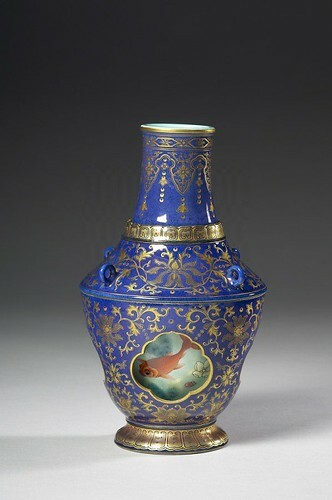 The yangcai porcelains he created started to become more intricate from 1742, the 7th year of the reign, onwards. 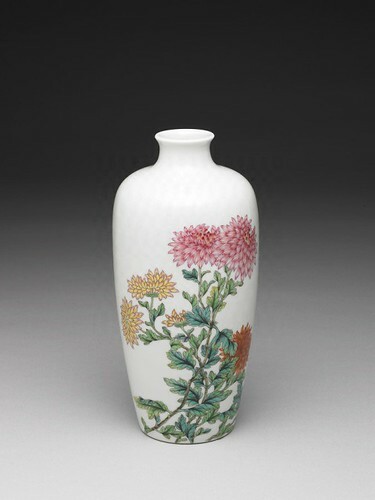 The artisans at Jingdezhen (景德镇) became adept at openwork carving, revolving parts, multilayered designs and complex decoration. 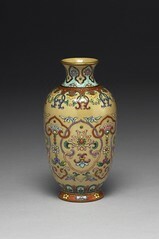 These involved complex and difficult production processes, presenting the artisans with considerable challenges.